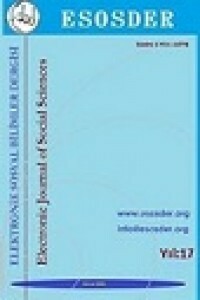 Electronic Journal of Social Sciences was firstly published in July 2002 and has a board of reviewers. Our aim is to publish articles for social sciences and to make them available to scientists. The journal is published quarterly as WINTER (January), SPRING (April), SUMMER(July) and AUTUMN(October) issues. This journal is open access. Electronic Journal of Social Sciences is indexed by databases such as TR Directory, EBSCO host, Asos Index, Sobiad, Arastirmax and Google Scholar. You can also reached it http://ulakbim.gov.tr/esosder, www.esosder.org, www.e-sosder.org.